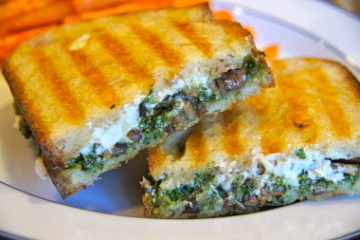 Oh yum... three of my favourite things inside a crispy sandwich, this looks great! Yep - this sandwich is calling my name! I did buy some goat cheese but wasn't to keen on the taste but maybe this way I will like it... Thanks for sharing on FFF.